A total of 5,881 cases of measles were reported in Europe in one year (March 1, 2016 to February 28, 2017). Between January and February 2017, more than 1,500 measles cases were reported from 14 European countries. In 10 countries—Austria, Belgium, Croatia, France, Germany, Italy, Poland, Romania, Spain and Sweden—the number of cases reported in January-February 2017 was more than double that of the first two months of 2016. Alarmingly, most of the measles cases have been found in countries where immunisation has dipped. Romania accounted for 46 per cent of total cases, while 24 per cent were reported in Italy and 9 per cent in Britain. According to the European Centre for Disease Prevention and Control (ECDC), the UK reported 575 cases of measles during that one-year period. 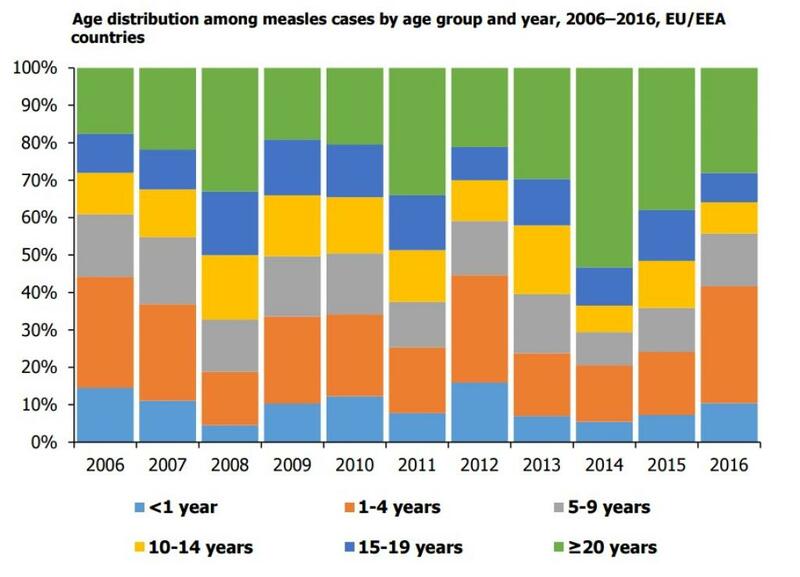 Going by the ECDC's report, a concerning aspect of the recent outbreaks in Europe was that victims are mostly children (1-4 years) or adults over 20 years old. According to the WHO press release, two-thirds of the region’s 53 countries have interrupted endemic transmission of measles, with 559 measles cases reported in January 2017 alone. Of these, 474 cases were reported in 7 of the 14 endemic countries (France, Germany, Italy, Poland, Romania, Switzerland and Ukraine). "Today's travel patterns put no person or country beyond the reach of the measles virus. Outbreaks will continue in Europe, as elsewhere, until every country reaches the level of immunisation needed to fully protect their populations," says Zsuzsanna Jakab, WHO Regional Director for Europe. Preventing transmission of measles requires at least 95 per cent vaccination coverage with two doses. Out of the 5,881 cases, 87 per cent (3,083) of them were unvaccinated, eight per cent (295) had received one dose of measles vaccine and three per cent (121) had received two or more doses. The proportion of unvaccinated cases was high in all age groups and highest among infants under one year (98 per cent). 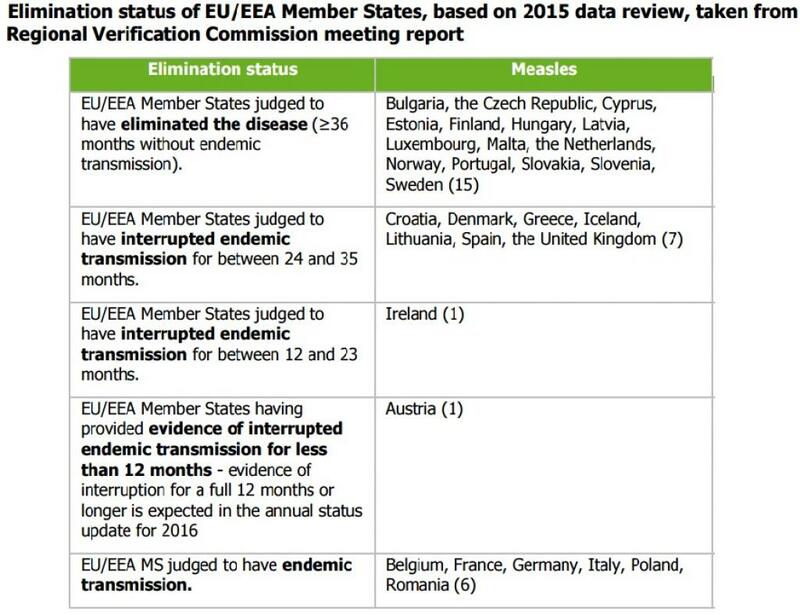 The surge in cases of measles, according to the ECDC, is due to "an accumulation of unvaccinated individuals". Back in 2014, the WHO had warned that poor progress in increasing measles vaccination coverage has resulted in large outbreaks of this highly contagious disease. 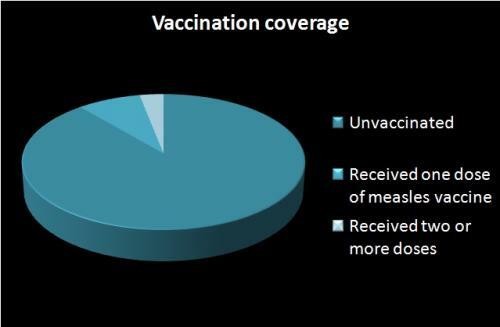 According to the ECDC’s 2015 data, vaccination coverage for the first dose of measles was below 95 per cent in 12 of 27 countries that reported data. For the second dose of measles, coverage was below 95 per cent in 15 out of 23 European Union/European Economic Area countries. Measles is a highly contagious virus that spreads through direct contact and through air. While issuing measles alert in April 2017, the WHO urged endemic countries to take measures to stop transmission of measles within their borders. Besides closing immunisation gaps in adolescents and adults, it also called for strengthening routine childhood immunisation programmes to prevent future outbreaks. In countries such as Ukraine, there have been supply and procurement issues. Vaccine hesitancy persists. While some people are fearful of vaccination, others are complacent or find it an inconvenience. In France, people need to make an appointment with their doctor to get a prescription and then go to the pharmacy to collect the vaccine before getting another appointment with their doctor to have the vaccine administered. 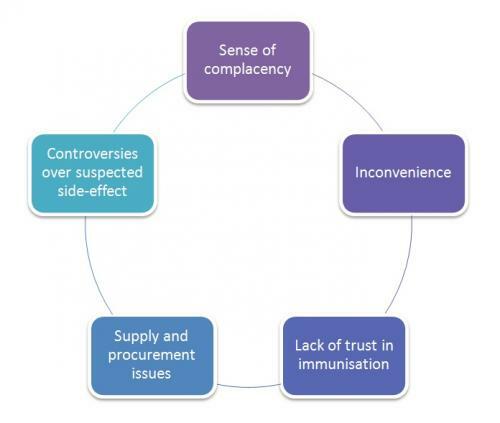 There’s lack of trust in immunisation, leading people to turn down potentially life-saving vaccines. This negative attitude, according to experts, could be due to controversies over suspected side-effects. Measles outbreak in Africa: Is there a link to the HIV-1 epidemic?